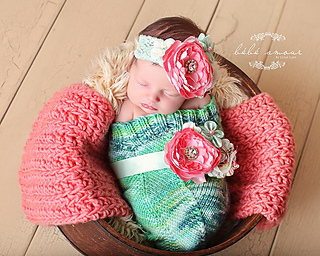 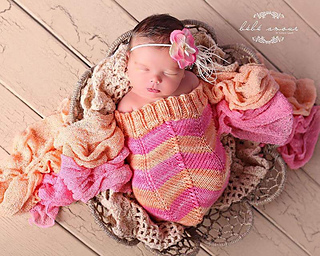 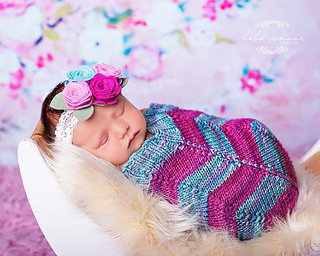 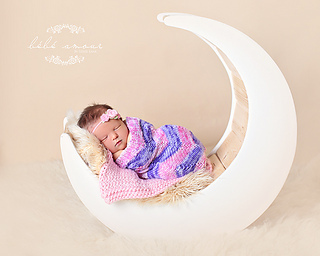 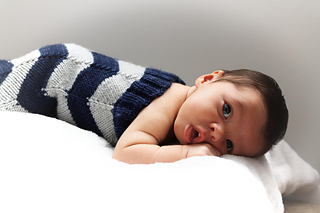 This adorable chevron knit cocoon is the perfect sleeping accessory for newborns. 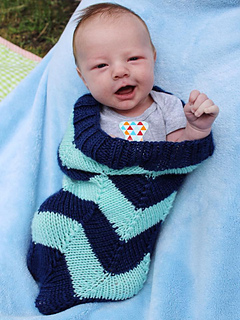 It is highly customizable by adding or decreasing stitches and stripes. 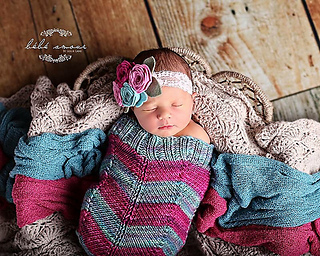 You could even work the pattern using one skein of worsted and no stripes! 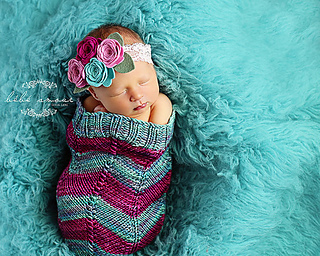 Photos are shown using Sunrise Fiber Co. Worsted Superwash in Robin’s Egg and Rosybloom. 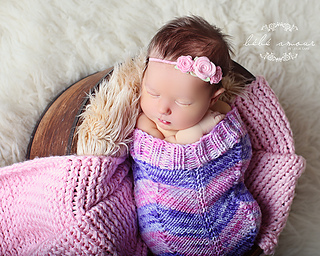 However, you can use whatever worsted yarn you prefer.